Home TrendsThe Stat Sheet	How Much Does It Take to Retire? Ask the question “How much do I need in savings to retire?” and you’ll get a lot of different answers. 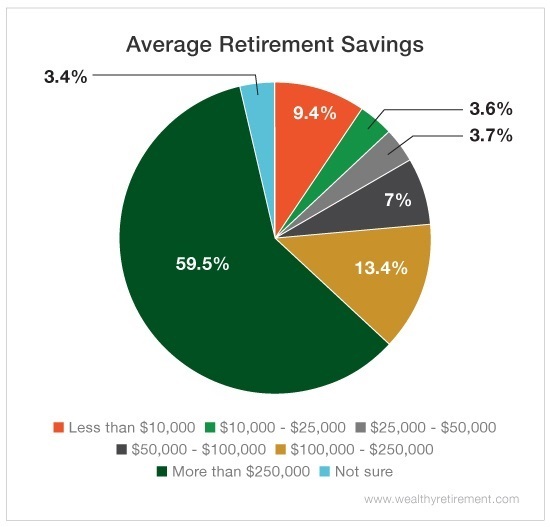 T. Rowe Price says about 75% of your preretirement income. AARP says $1 million to $1.5 million. I say however much allows me to take that dream trip to the Seychelles Islands. But while we might not all agree on how much is enough, we probably can agree on how much is NOT enough. Like $250,000 – a nest egg that breaks down to an annual income of just $10,000. However, more than 40% of our readers have less than $250,000 in savings for their golden years – a survey finding that proves the retirement crisis is very real. And before you accuse millennials of dragging that number down, 91% of our respondents were over the age of 55. With the average cost of healthcare increasing to $280,000 in retirement, how can we live on less than our medical expenses alone? Never mind any dreams of travel or a luxury condo… That $10,000 is barely going to cover the basics, if that. But before you feel as if all hope is lost, consider this: According to a study by GOBankingRates, 42% of Americans have less than $10,000 TOTAL saved for retirement. Now your $10,000 per year number is looking a lot better. You’re welcome. Not only are most of our readers, like yourself, better prepared than the average American, but there’s also a lot you can do to continue growing your nest egg – no matter what stage of the retirement-planning process you’re in. Sure, there are the obvious solutions like maxing out your 401(k) or IRA contributions, setting up an automatic savings plan, or simply tightening up the purse strings. But if you’re like me – aka the kind of person who would prefer not to give up their Netflix subscription or a steak at dinner (rare, please) – or if you’re looking for more unique ways to save for your golden years, you need this ultimate guide to retirement. Inside are all the tips and tricks you need to cut costs and boost savings… without coupon cutting or living like a pauper. There’s even a whole section dedicated to getting the most out of your Social Security. 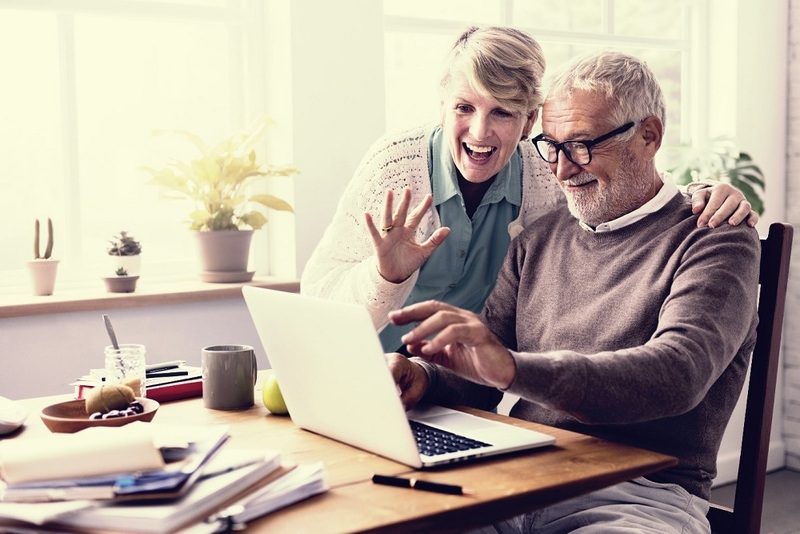 Most of all, this helpful guide to surviving retirement will answer all of your biggest questions and help you figure out how much you really need to enjoy your post-work life. Click here to get it for yourself.